It is the number one concern of camp directors. It is the most anxiety-producing element of the experience for parents. When this characteristic breaks down, it has the clearest consequences for camp outcomes. Let’s talk about SAFETY at camp. Camp directors get that camper safety is their most sacred responsibility, but not all of them quite understand the primal fear of parenthood. Parents are daily bombarded with news and warnings that scare the hell out of them. Flip on the news or click to an online story. It appears that kids are constantly being molested, trafficked, pushed into drugs, murdered by terrorists, kidnapped, drowning in a natural disaster, dying of the flu, falling behind on educational standards, and having their brains melted with overexposure to screens. Statistics be damned! Don’t tell me that these catastrophes are astronomically unlikely. Our surveys of camper parents over the past few years make it clear that when parents pick their child up on the last day of camp, the only thing that really concerns them is that their child is safe and happy. Show them that their child is alive and well, and you cannot get less than a 5 on a scale of 1 to 10. Put a smile on that child’s face, and you cannot get less than an 8. Some camps doggedly market the experience as life-changing. From a parent’s perspective, that sounds pretty dangerous. I am a parent, and I don’t need you to change my kid. What I want is a safe space for them to grow and develop. Camp directors sometimes complain to me that parents are hiding cell phones in their campers’ luggage. The reason that some parents do this is simple: they want to know that their child is safe. They have a primal fear that their child got lost in the woods and is currently being devoured by coyotes. Don’t laugh. This is serious. Please, do not demean their intentions or parental ability by labeling them as “helicopter parents” or “overprotective.” They need reassurance because they have been conditioned to believe that this world has become exponentially more dangerous since they were children and they have become accustomed to receiving constant updates. Please, do not give their children cell phones. Instead, give the parents pictures and daily updates in a secure online space. Don’t complain about it or bemoan it. Just do it. Our concern as parents is safety. Show us that you understand this and also take it seriously. Problem solved? Not even close. When we say the word “safety,” we almost always mean physical safety, but there is MUCH more to safety than this. Camps are incredibly good at keeping young people physically safe. Parents, I do not expect you to stop worrying, but please take note. Camps are highly regulated by state and local governments, and they are subjected to regular inspections for a wide variety of safety checks, from fire safety to food service to aquatic activities to sleeping arrangements. 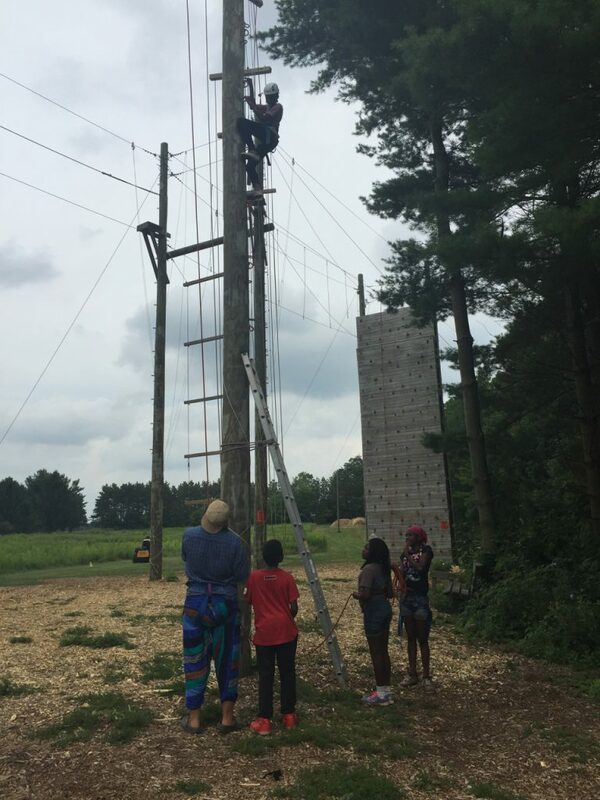 On top of all of these strict safety standards, many camps choose to go several steps further by seeking accreditation through the American Camp Association, which sets an incredibly high bar for safety and excellence. If you see the logo, you should feel even more confident in your child’s safety. With the Effective Camp Research Project, we did not concern ourselves with physical safety as much as emotional and spiritual safety. When campers described camp as a safe space, they meant that they felt safe to be themselves, to express their beliefs or opinions free of judgment. 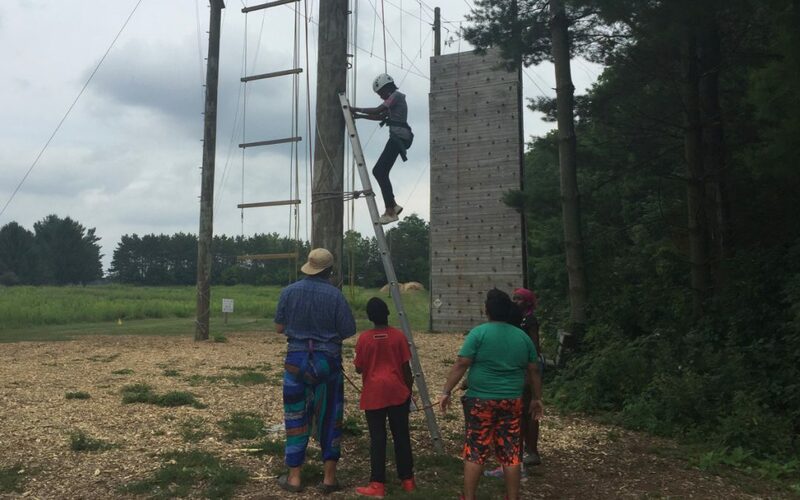 As one camper put it, “I feel like no one will judge you because of what you believe here – that’s why I like it.” It was from this place of safety that campers were encouraged to try new things, take risks, and challenge themselves. Over 2000 campers at 11 camps completed surveys on the first and last days of camp (see Effective Camp for details). We compared their experiences at home and school with those in the camp environment, finding that they were far less likely to report being picked on or left out at camp than at school and less likely to report having to hide their true selves at camp than at home or school. Camp is a safe zone for many campers. They are free to express themselves, experiment with new ideas, and explore their identities in a supportive environment. This characteristic of camp is fundamental to the experience, and our research shows that most camps are doing a tremendous job of providing this safe space for their campers. The majority of campers in our study showed increases in faith measurements and self-confidence, and this growth continued months after they returned home from camp. Parents noted increases in helpfulness around the house, engagement in faith practices, independence, and especially self-confidence. But not every camper in our study experienced camp as safe. All 2000 campers were physically safe, but a small group of campers felt picked on, left out, or that they had to hide their true selves. This experience of a breakdown in safe space had clear consequences for camp outcomes. These campers did not show the typical pattern of growth. In fact, many of them actually decreased in both self-confidence and faith commitment following camp. Camp directors, take note! Providing a safe space is much more than ensuring physical safety. It is worth noting that campers who completed the survey in 2017 were much more likely to experience a breakdown in safety than those who participated in 2016. Of course, we studied different camps, so it is possible that certain camps did not handle camper conflict and bullying as effectively as others. It is also possible that this reflects a trend that is noticeable in public discourse. Politics are increasingly polarized. Those who disagree are increasingly demonized. Hateful rhetoric and public ridicule are commonplace throughout social media platforms and from the mouths of our nation’s leaders. These realities make the characteristic SAFE SPACE all the more important to the camp experience. We need to provide enclaves of safety at our camps, where young people are equipped to work through their disagreements, cooperation is valued, and people seek to “outdo one another in showing honor” (Romans 12:10). We all know the consequences of a breakdown in physical safety at camp. Let’s remember that safety at camp includes much more. Let’s keep our children physically, emotionally, and spiritually safe. It is our most sacred responsibility. Let’s change the paradigm so that parents are not hesitant to send their children to camp because of safety concerns. Let’s make our camps places of such profound safety that parents send their children in order to keep them safe. Camps can provide unique opportunities for safety that are becoming increasingly rare in our polarized world of one-upmanship. Our young people need places where they are free to be themselves, where they will not feel judged, where they are included, where conflict is worked through together, where they are empowered to live into their identities as children of God. Camps can provide these places. Good job as always Jake!